The festival season is right around the corner and Primavera Sound is kicking it off with the 18th annual festival in the Catalan capital. This five-day fiesta has been named one of the best festivals in Europe by many magazines and newspapers such as Gigwise and The Guardian. It’s easy to see why with the amount of diversity of music included in the festival. 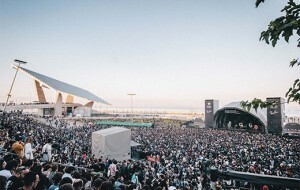 Primavera Sound is known to be a festival that any music lover should check out. The festival caters to all generations, with a mix of indie, techno, rock, hip/hop, underground and other sub genres. This is for sure the fiesta in Barcelona not to be missed. Over the years Primavera Sound Festival has brought some of the biggest names in the game to Barcelona. Literally any big name that has been touring during the summer would have probably made a stop at Primavera. Previous performers include The Pet Shop Boys, Bon Iver, James Blake, The Whipe Stripes, Franz Ferdinand, Dizzee Rascal, New Order and many more. Artists attending this year include the likes of Migos, Arctic Monkeys, A$AP Rocky, HAIM and Björk among many others. The lineup is endless and full of many surprises, there is something for everyone! You will find up to 100,000 festival-goers across all the venues included in the festival. 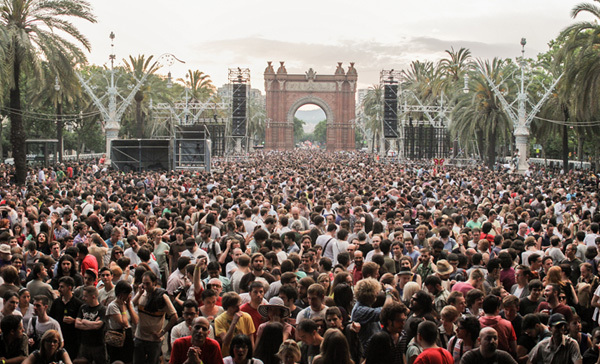 The main venue can be found at Parc del Fòrum in the Poblenou neighborhood. Other venues for the festival include Parc De la Ciutadella, Apolo and you can even find some small gigs in the some of the metro stations! The main festival lasts for 5 days, but there are scheduled events on other days for free, between the 30th of May until the 3rd of June 2018. For a full schedule, information about the venues and tickets and more, visit the Primavera Sound Festival website. This entry was posted in Bars & Nightlife, Events, Home and tagged barcelona events, Barcelona festival, barcelona festivals, barcelona music, barcelona nightlife. Bookmark the permalink.